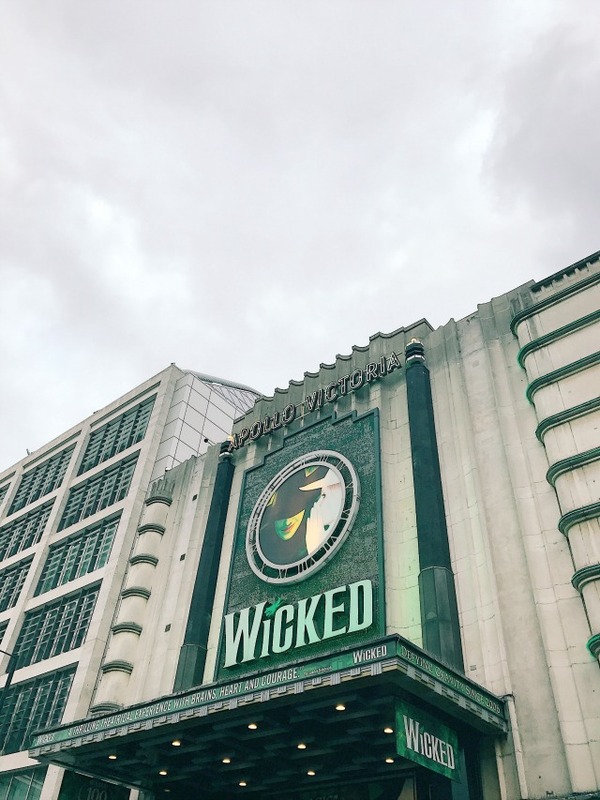 On Saturday the girls and I jumped on a train to London to see a musical that's been on my wish list for a long time: Wicked. 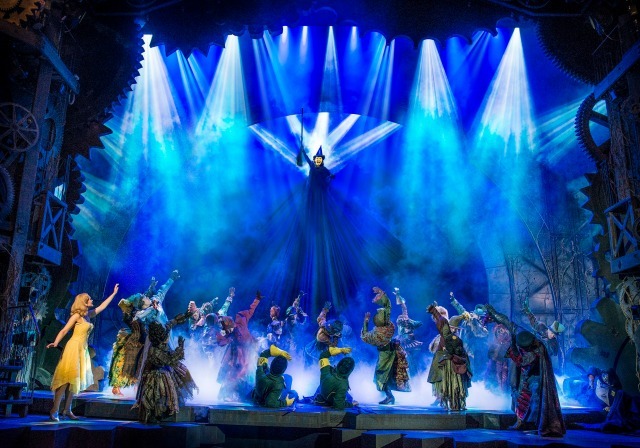 Now in its twelfth year, and seen by more than 8 million people, Wicked has won over a hundred major awards - so there was no doubt in my mind that it was going to be absolutely brilliant. What I wasn't expecting was for it to be SO brilliant that it knocked Les Miserables off my top spot (where it's been since 1993) to become my most favourite musical of all time! 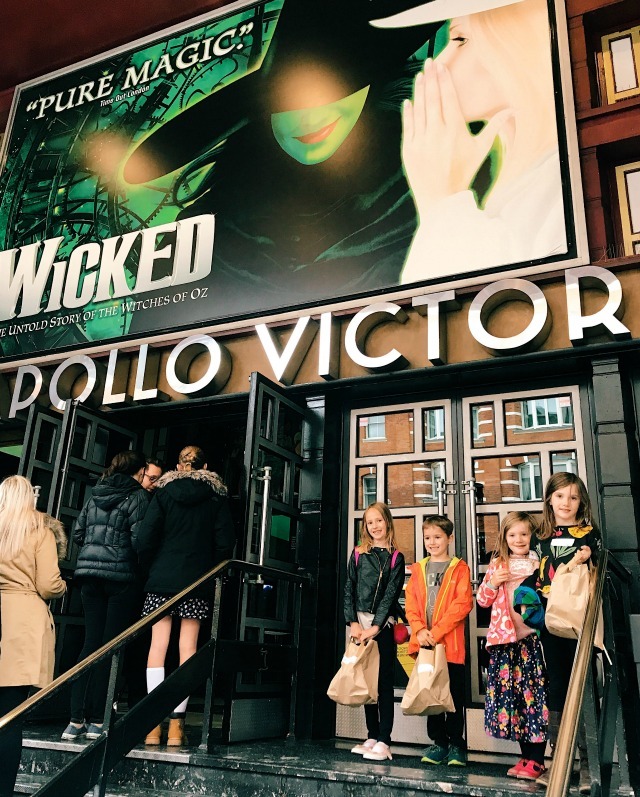 As a family, we love going to the theatre and musicals are our favourite. We saw an am-dram version of The Wizard of Oz at our local theatre earlier this year; the girls immediately fell in love with the characters and have watched the original film and Return to Oz dozens of times since. I knew they'd love Wicked, and I was right. Well what can I say? It's clever, witty, emotional, jam packed full of amazing songs and has THE BEST set design and lighting I have ever seen. The story is an uplifting one with a great moral - that you shouldn't judge a book by it's cover. It encourages you to look at the other side of the story and to question things.... in this case, was the Wicked Witch of the West really wicked? 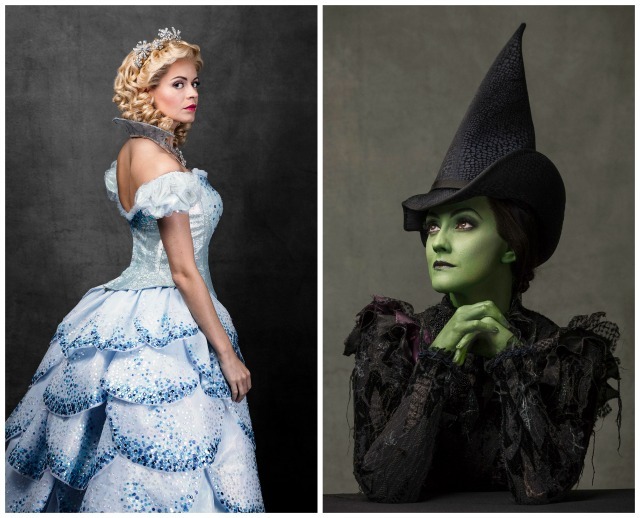 It tells the untold story of the friendship between Glinda and Elphaba, two girls who first meet as sorcery students at university. Their adventures in Oz see them fulfil their destinies as Glinda The Good Witch and the Wicked Witch of the West but until now we haven't heard the whole story about the Land of Oz! The musical may be aimed at children aged 7+ but both girls absolutely loved it - especially Evie, and she turns five next month. The flying monkeys were a bit creepy and the mask on the Wizard of Oz's door made us all jump the first time it spoke but we were all in agreement that they were some of our favourite bits in the end! We also all agreed that Defying Gravity was our favourite song. I have a feeling the soundtrack is going to be on repeat in our car for a long time! The show runs six nights a week, with matinees on Wednesdays and Saturdays - plus there's an extra matinee performance on Thursday 26th October if you're interested in booking tickets for half term. prices start at just £21.75 when you book online here. We were given complimentary tickets in exchange for this honest review.